Provides excellent safety standards with minimal maintenance. Sayfa Payload rooftop walkways come with a choice of three materials of construction. The PVC variant is quick to lay – and can be rolled out over PVC roofs to provide a non-slip walkway that is self-weighted so that it won’t blow away. 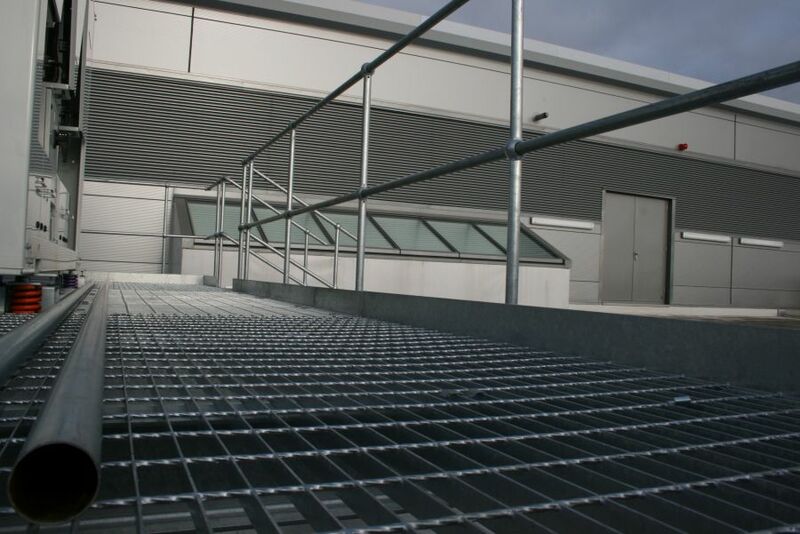 The GRP option provides a strong and lightweight walkway, designed expressly for roof types such as composite panel and standing seams. Self-supporting over 500mm, it can be cut as and where you will. Finally, the strongest of the three systems are the steel or aluminium walkways. Designed for longer spans, they will also take heavier load ratings. 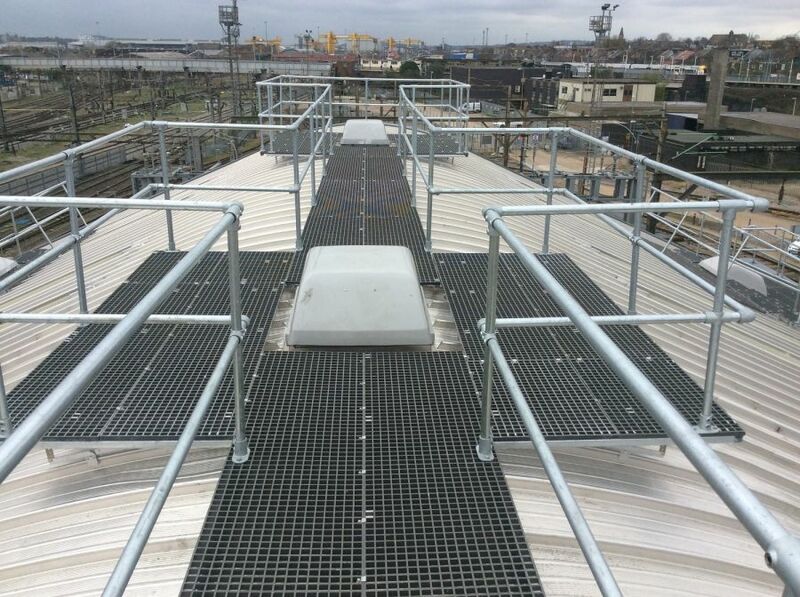 Stepovers can be up to 1.5m high and are usually supplied freestanding on rubber plates. There are options for single and double flights and swing gate entrances.